Our knowledge of Cretaceous plumage is limited by the fossil record itself: compression fossils surrounding skeletons lack the finest morphological details and seldom preserve visible traces of colour, while discoveries in amber have been disassociated from their source animals. Here we report the osteology, plumage and pterylosis of two exceptionally preserved theropod wings from Burmese amber, with vestiges of soft tissues. 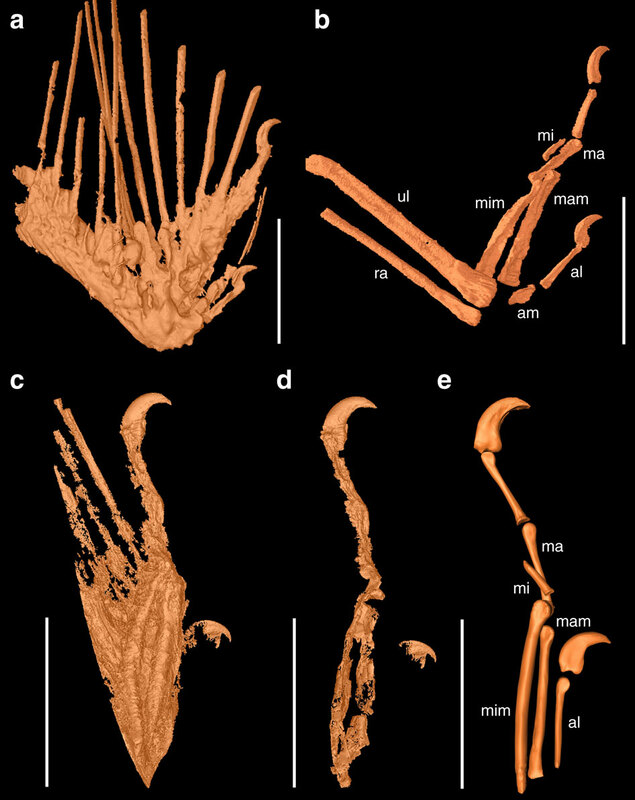 The extremely small size and osteological development of the wings, combined with their digit proportions, strongly suggests that the remains represent precocial hatchlings of enantiornithine birds. 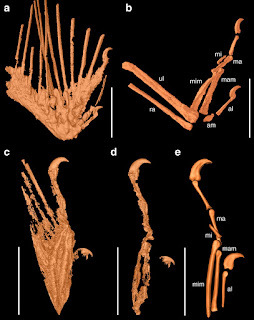 These specimens demonstrate that the plumage types associated with modern birds were present within single individuals of Enantiornithes by the Cenomanian (99 million years ago), providing insights into plumage arrangement and microstructure alongside immature skeletal remains. 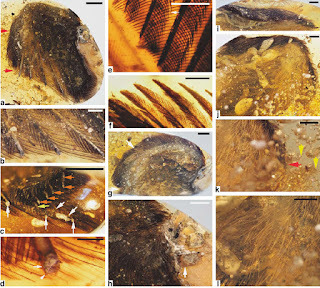 This finding brings new detail to our understanding of infrequently preserved juveniles, including the first concrete examples of follicles, feather tracts and apteria in Cretaceous avialans.